Hi everyone! 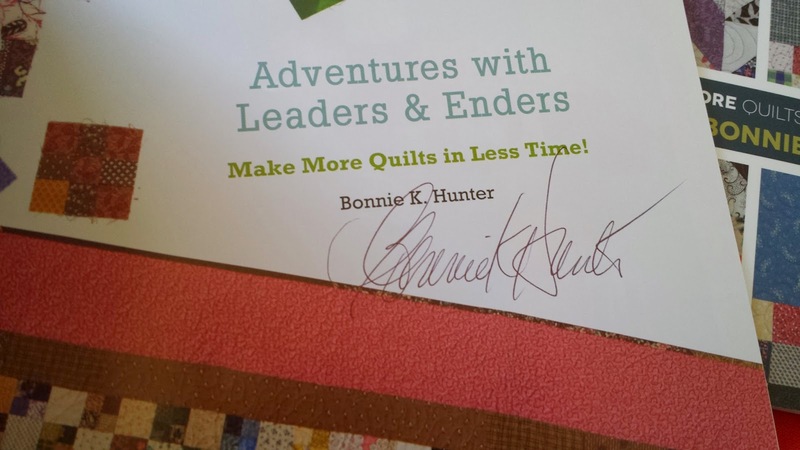 Do you follow Bonnie Hunter ? Oh boy, if you haven't been to her site, you have a BIG treat coming your way. 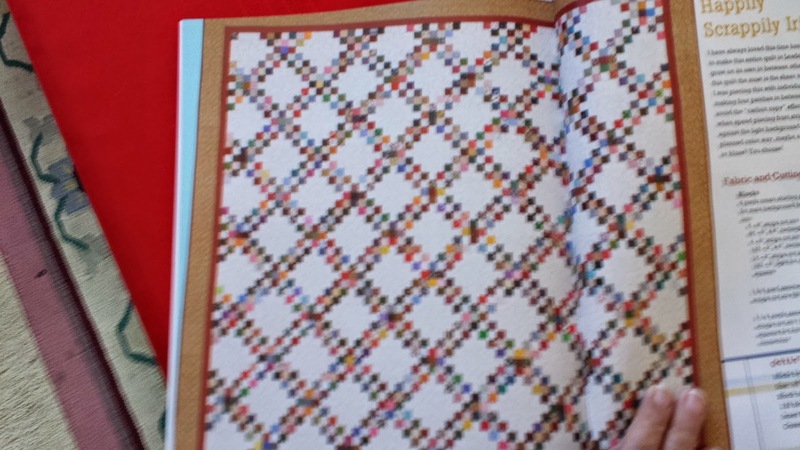 LOTS of free patterns. 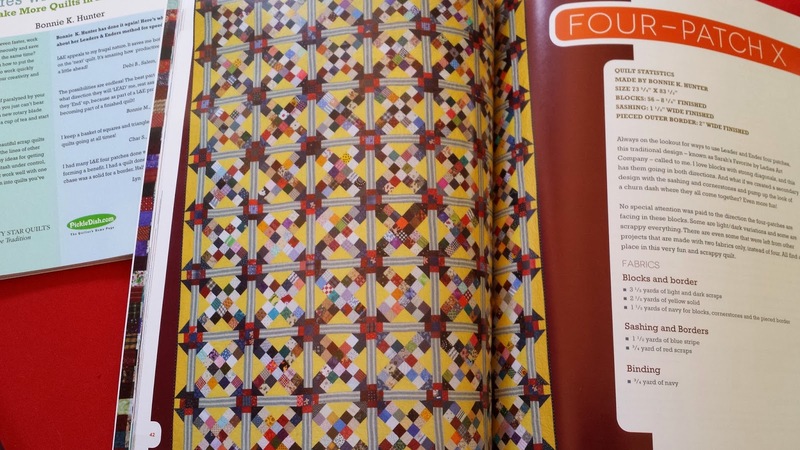 Really wonderful patterns. Mostly based on scraps! My kind of patterns. I finally broke down and bought two of her many books. Adventures with Leaders & Enders and her newest one - More adventures with Leaders and Enders. I have been seeing on Bonnie's blog that the newest book had arrived. And that she was sending them out. then I started seeing on other blogs, where they had received theirs. Boo Hoo..... where was mine? Well, I am not always patient. I try. but it is so very hard sometimes. sigh..... Well, they have arrived. She even signed them for me! This one is from Adventures with Leaders and Enders. it's called Happily Scrappily Irish. Love it! and this one is from More Adventures with Leaders and Enders. It's called Narragansett Blues. Ahhhhh, isn't it lovely? I need to really concentrate on sewing up my scraps. they are multiplying and replenishing themselves! I love the idea of leader and enders. recently, my friend Vicki and I started a new project. it needs 80 4 patches. Well they are done! 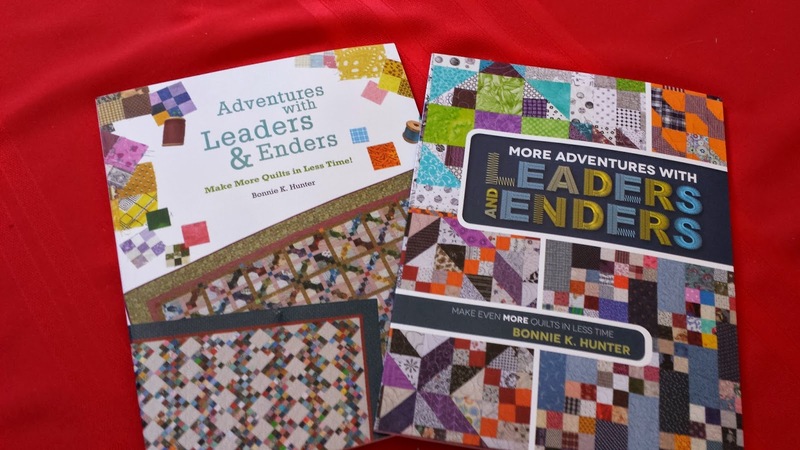 all sewn as leaders and enders. It's amazing what you can get done by slipping other things in while you sew. Now, I have some dreaming and planning to do, and lots of reading!!! Yeah!!! you ordered them, mine came in last week. Now need to finish up a few current projects including a leader & ender one so I can do one of the newer patterns. Have fun playing in your scraps!